Somehow, for some odd reason, I appear to have gained a reputation for reviewing random electronic gadgets. 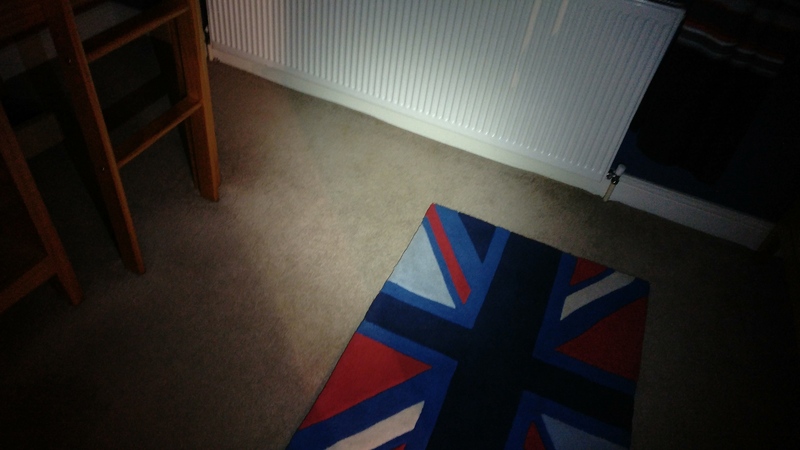 Today I present to you …..a torch. 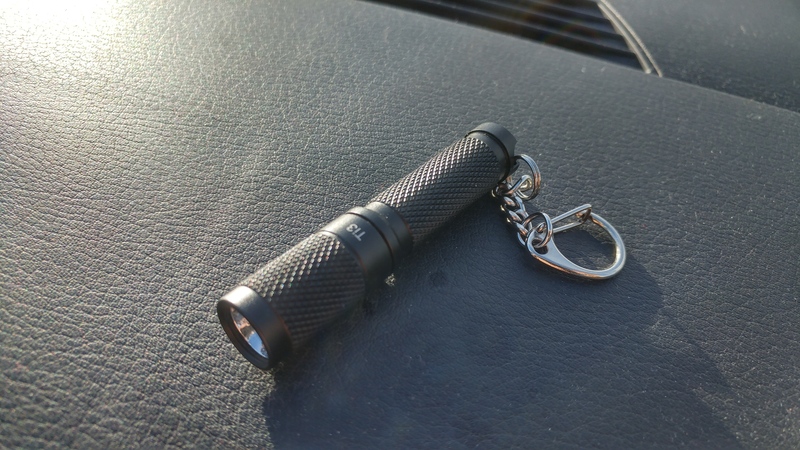 Call is the flashlight, call it a torch, it is simply a small battery-powered LED light which you can carry around on your keys. Without the battery it weighs just 12 grams and operates with a simple twist of the top section. To begin with you need a single AAA-sized battery. 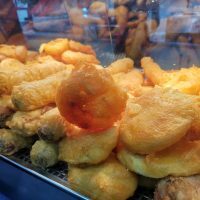 This is not supplied, but they are extremely easy to find and available in supermarkets and various other shops. I ventured into my cupboard of random semi-flat batteries and locate it myself . Although the battery in question has a questionable amount of power left, it produced a very bright light. You basically twist the top section continually until it comes off, pop the battery in, then screw it back on. As you do, it’ll light up on the last couple of turns. To turn off, you simply unscrew it a tiny bit. Repeating this process will switch between 4 brightness modes, so you don’t always have to have it on “full whack” of 130 lumens. Due to the fact that this is an LED torch and not an old-school bulb, you won’t need to worry about replacing the bulb any time soon. ThruNite tell me that it has a lifespan of over 20 years. It’s made from “aircraft quality aluminium” and can survive drops of up to 1 metre. It’s waterproof too, with an anodized anti-abrasive finish. Although this isn’t quite going to compete with larger more powerful torches it definitely gives you enough light to show you the way around local streets when you are walking your dog. You can also use it as an emergency torchlight if you have broken down etc. You can clip it onto your keys or into a pocket with the small clip. If you want one, you can head to their website, where it’s $19.95. I’ve also spotted it on Amazon and, although it is £13.95, this really is a top-quality bit of kit. You’ll definitely not need to get another one any time soon. It’s a high quality product which, considering it’s powered by a single AAA battery, offers a long-lasting light and excellent build quality. Somehow, for some odd reason, I appear to have gained a reputation for reviewing random electronic gadgets. Today I present to you .....a torch. Call is the flashlight, call it a torch, it is simply a small battery-powered LED light which you can carry around on your keys. Without the battery it weighs just 12 grams and operates with a simple twist of the top section. To begin with you need a single AAA-sized battery. This is not supplied, but they are extremely easy to find and available in supermarkets and various other shops. I ventured into my cupboard of random semi-flat batteries and locate it myself . 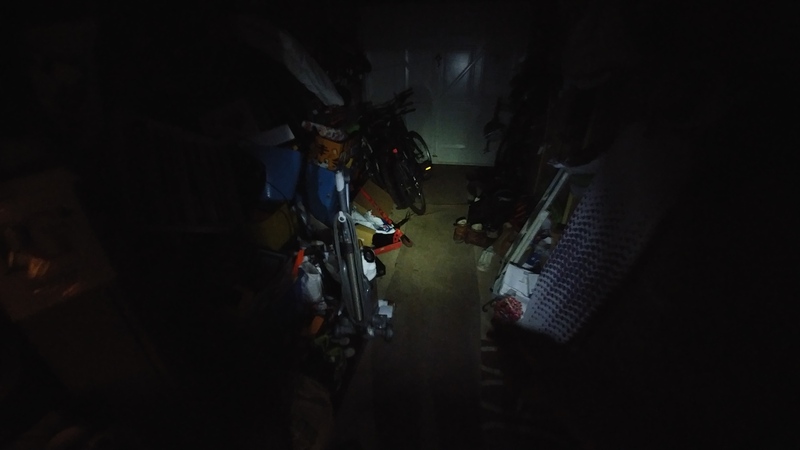 Although the battery in question has a questionable amount of power left, it produced a very bright light. You basically twist the top section continually until it comes off, pop the battery in, then screw it back on. As you do, it'll light up on the last couple of turns. To turn off, you simply unscrew it a tiny bit. Repeating this process will switch between 4 brightness modes, so you don't always have to have it on "full whack" of 130 lumens. Due to the fact that this is an LED torch and not an old-school bulb, you won't need to worry about replacing the bulb any time soon. ThruNite tell me that it has a lifespan of over 20 years. It's made from "aircraft quality aluminium" and can survive drops of up to 1 metre. It's waterproof too, with an anodized anti-abrasive finish. 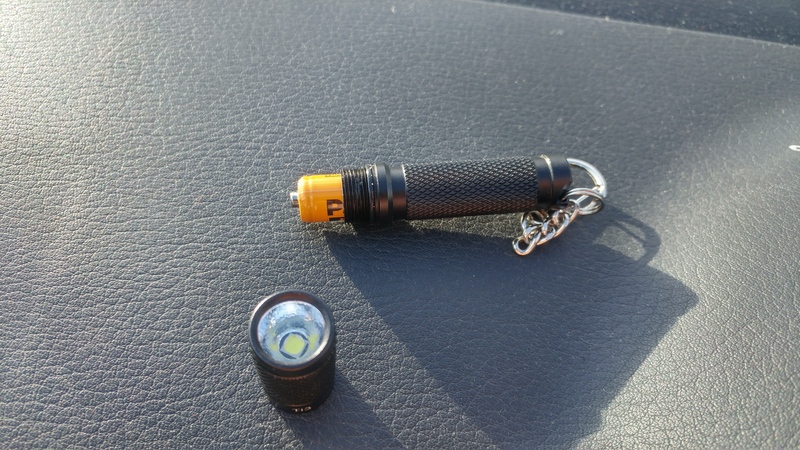 Although this isn't quite going to compete with larger more powerful torches it definitely gives you enough light to show you the way around local streets when you are walking your dog. You can also use it as an emergency torchlight if you have broken down etc. You can clip it onto your keys or into a pocket with the small clip. Here's a few shots of me using it in the dark... If you want one, you can head to their website, where it's $19.95. I've also spotted it on Amazon and, although it is £13.95, this really is a top-quality bit of kit. You'll definitely not need to get another one any time soon. It's a high quality product which, considering it's powered by a single AAA battery, offers a long-lasting light and excellent build quality. 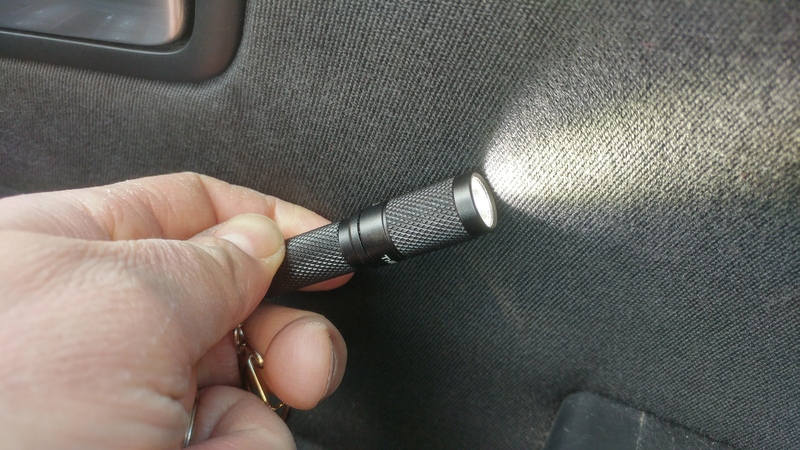 A diminutive flashlight / torch which you can carry around easily. Excellent build, a very bright light and a quality bit of kit.